After six years in the Air Force, 27-year-old Kacy Cross moved from where she was stationed in Hawaii to Washington on the quest for a job. It didn’t work out the way she hoped. The next thing she knew, she was without a home. But she qualified for transitional housing at Betsy Ross Hall, located on the Washington Soldiers Home campus in Orting. The pilot program is led by nonprofit WestCare Foundation and is designed to help women veterans by providing housing as they get back on their feet. Now, Cross is a veterans navigator for the Betsy Ross program, helping other women veterans pass through the very program that helped her. Ray Switzer is the regional vice president of WestCare. “(Cross) came here in early November. She became a WestCare employee in February. That’s how long that took. This can happen really quickly for folks, and we’re glad to be a part of that process,” Switzer said. Cross was the third veteran to pass through the Betsy Ross Hall program. Since its inception, 50 women veterans have been screened for the program. Those who qualify are struggling against issues that range anywhere from domestic violence to the rising costs of rent. 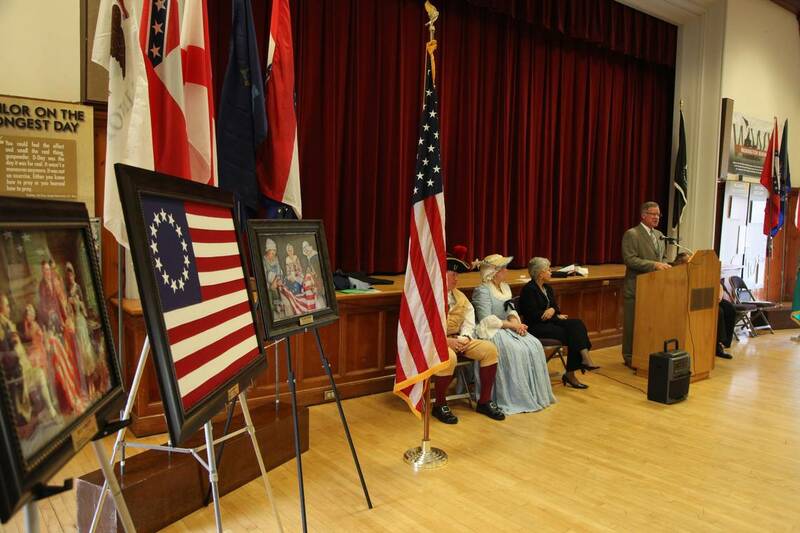 WestCare Foundation and the Washington Department of Veterans Affairs (WDVA) held an open house to celebrate the Betsy Ross program on June 26. Speakers at the open house acknowledged the increase of women veterans in need of housing. As a whole, the number of veterans who are homeless in Pierce County is steadily increasing, said Gerrit Nyland, director of client information systems for Catholic Community Services of Western Washington. According to a Veterans Master List created by Nyland in June 2018, there are 286 veterans, both men and women, who have been recorded as homeless in Pierce County. In January 2016, 52 people were documented on the Veterans Master List. Case manager Ester Ortiz works directly with the residents of Betsy Ross Hall. She finds out what barriers made them homeless and how they can work together to overcome those barriers. About 50 percent of the homeless women veterans Ortiz sees already have jobs. Betsy Ross Hall was built with 12 rooms. Six women currently reside in the building. Since the program started accepting residents, they’ve ranged in age from 22 to 77. All of them are referred through Pierce County Coordinated Entry, and veterans are encouraged to contact staff there at 253-682-3401. Those who are eligible for the program must have served in a branch of the U.S. Armed Forces, be homeless in Pierce County for one or more nights, be clean and sober for 30 days, be willing to undergo a criminal background check and have a desire to make meaningful life changes. Upon acceptance, chemical dependency services, mental health services and a community services center are available to residents. Aloys Wilson, 22, currently resides in Betsy Ross Hall after serving in the Army from September 2015 to July 2017. Some injuries, including a tear in her left hip, caused her to have to leave.